Every once in a while someone says something to you that you just can't forget. It gets in your head and cements itself. When you drift and daydream you find yourself coming back to it, turning it over and over in your mind, or you take it out on special occasions and look at it. Remind yourself of it. As if you were likely to forget. A few months ago I was chatting with a good friend of mine when we got onto the topic of politics. Not in any particular bad way - this friend and I happen to agree on a great deal politically, so it was cool - but just chatting about the current state of politics in America. I forget why, but I made a passing joke about how unAmerican and unpatriotic I am. I was surprised, then, by the vehemence of his reply. "No," he said. "Don't let them take that away from you. You are patriotic. You love your country. Don't let them tell you that you aren't just because you go about it in a different way." And that? That stuck with me. I think about that a lot. Because, as I'm sure some of you who are from the United States can attest, there is this weird correlation we see now between conservativism and patriotism. Somewhere in the early post-9/11 years, when jingoism was all the rage and we were being asked to love our country with no recognition of fault, patriotism became synonymous with pickup trucks and American flags and owning a gun. Not that there's anything inherently wrong with any of those things, but it became a kind of shorthand for conservative values. And it wasn't until my friend called me on it that I realized I'd bought into that lie. It is a lie, for the record. Patriotism is nothing more than just loving your country. I do love my country. I actually love my country a lot. It's just that I love my country with my eyes wide open. I think a necessary part of loving my country is criticizing my country. A necessary part is demanding that my country do better. Real love isn't a meek and hollow acceptance of the status quo, it's a fierce and powerful recognition of potential belief that we can make it happen. I love my country because I love what it could be and I want to help make it that way. Obviously this isn't a political blog, so you might wonder why I'm sharing this at all. By and large I try to keep from talking about my political views, though some definitely slip through. I bring this up today not so much to talk about my personal relationship with patriotism, but more to talk about how we view the relative patriotism of different works of fiction, and how we view ourselves in light of that. Take, for example, Captain America. * I'm talking Steve Rogers from the comics and MCU (as played by Chris Evans) Captain America. What I find really fascinating about him is how he interacts with his own patriotism. I mean, on the surface, it's pretty easy to see how Captain America could be a patriotic symbol. Even leaving aside his name which is pretty obvious on its own, there's a lot of surface level patriotism wrapped up here. His costume is red, white, and blue, clearly meant to evoke an American flag. He has a white star at the center of his shield, also a patriotic symbol. His freaking birthday is the fourth of July. So American and patriotic it hurts. He fights for what's right and is a nice white boy with big muscles who everyone can agree is, yes, very patriotic. But that's surface level stuff. The things I actually love about Captain America, what I view as his real patriotic values, are the ones just below that. 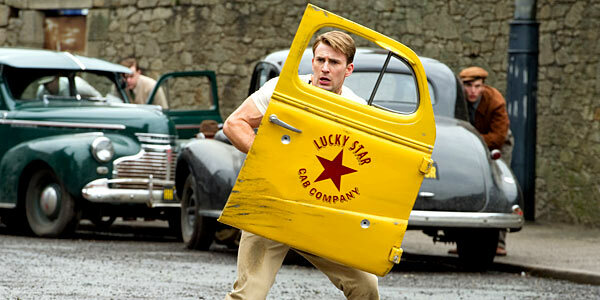 Like how Steve Rogers is a good old American white boy, but he's also the son of Irish immigrants. In fact, at the time he was growing up in New York, he was considered to be from one of the "less desirable races". Looking back on it we figure that blond, blue-eyed Captain America was always everyone's image of patriotism, but you have to remember that for this character growing up, he would have been ridiculed, told he was a "filthy Mick", and probably told to go back to Ireland. 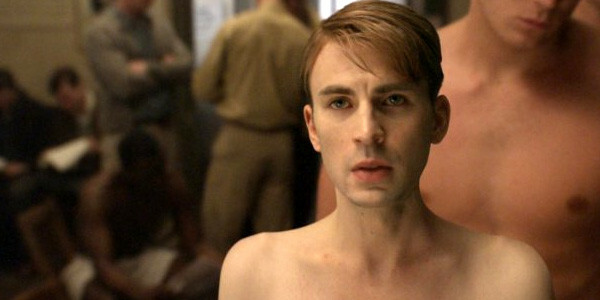 Steve Rogers lived the immigrant experience. All that stuff about his costume and his shield and even his birthday is all just wrapping paper. What's underneath is what makes Steve Rogers a patriotic character, and that is defined solely by the fact that Steve believes in America even when America doesn't believe in him. Even when he was small and weak, he believed that America could and should be the kind of place where you are judged on your strength of character rather than your muscle mass. Hell, he believed that after he had the muscles too, which goes to show the sincerity of that belief. The real patriotism of Captain America is shown not in what his costume looks like or the fact that he fought Nazis in World War II, but in what his squad looks like and why he fought Nazis in World War II. 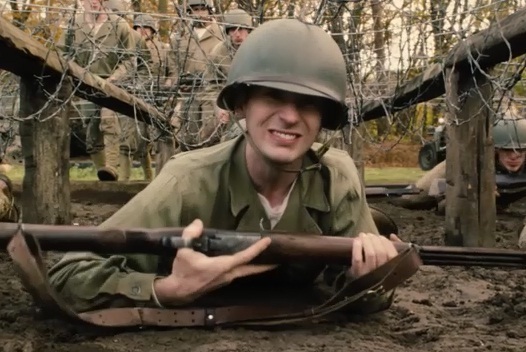 Stars and spangles are all well and good, but the real proof is in how Steve intentionally recruited a diverse group of men to work with him in WWII - his Howling Commandoes, fictional or not, were one of the first integrated fighting groups in the US military - and even in the present day is committed to making sure that anyone who has the will to make a difference is given a chance. Yeah, whatever, the comics made a scene where he punches Hitler, but the good moment is when Erskine asks Steve why he wants to fight and he says, "Because I hate bullies." The fighting isn't the important bit; what matters is why you fight. Patriotism isn't surface level. Not real, good patriotism anyway. And it's been interesting to mull this over because I've been really thinking about why we are so eager to push it out of our minds. Why it's become a bad thing in some circles to admit that you openly and unabashedly love your country. Or why, in other circles, it's bad to admit that you see some huge flaws in your country and demand that they change and be rectified. I know it feels a little frivolous to think of this in terms of fictional characters, but it's really not. Fictional characters are a huge part of how we process the world and our feelings about it. Captain America is an avatar for our beliefs about what it means to be a patriot and a good man. So it matters that we understand the real strengths of Cap's patriotism and don't get distracted by the surface crap. It matters because we are judged by the fictional characters we pick to represent us, and because they impact us more than we're usually willing to admit. 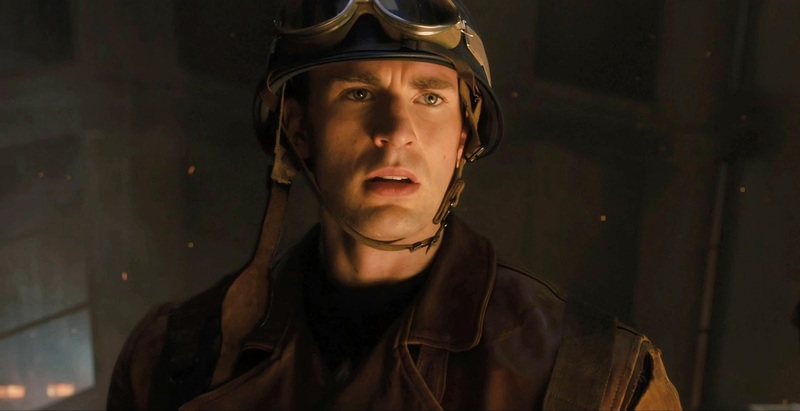 Steve Rogers loves his country enough to volunteer for a terrifying medical experiment, but he also loves it enough to fight back when he's given bad orders. He loves America not because America's been good to him - it really hasn't, actually - but because he still believes in that old immigrant dream of making it the place where everyone has a chance at a good life. Or how about another example. Without even leaving that franchise, we have an amazing example of patriotism in Sam Wilson too. Both in the comics and the films, Sam is shown to be an incredibly patriotic man, but he's also shown to be a man who is well aware of all the crap American can throw at him. In the comics he's a straight up civil rights activist, and even in the movies he's a counselor at the VA Hospital. Sam Wilson is a person who cares about people, because it seems to me that he's a man who loves his country because he loves the people in it. You have to stop for a second and think about who Sam is as a person. Because, no, he doesn't ever run through the streets wielding an American flag and shouting about how much he loves his country, but I don't think that's really the point of his character. I mean, this is a guy who chooses to run around the Washington Mall for his daily exercise. This is a man who joined the military and then volunteered for an incredibly dangerous job as a pararescue guy. 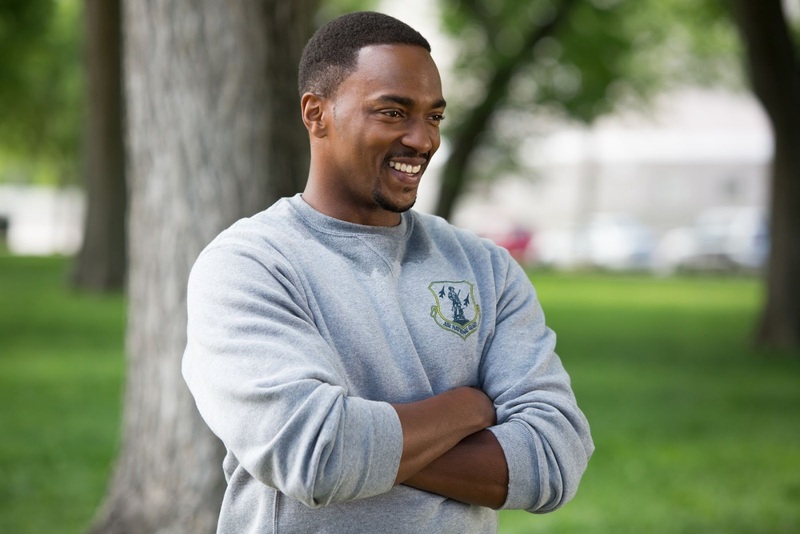 He took one of the most intense positions in the US military, and it's one that is about helping people. Rescuing civilians. Medical aid. Sam Wilson is a black man in a country and a city that does not value the lives of African-Americans. Sam Wilson reaches out his hand to Steve Rogers even when he doesn't know if Steve is going to be, well, racist or not. Sam follows Captain America not because he has to or because he's starstruck, but because he believes in Cap's mission. He believes that Steve's mission is good, even if it involves going up against the actual United States government. In other words, Sam Wilson loves his country enough to fight it and fight for it. What more do you need? And, for the record, both Steve and Sam show that loving your country is not the same as thinking everyone else's is crap. There's a level of insecurity required for that, one that neither of those men has. They are confident both in themselves and in their belief that America can be better, so they don't need to crap on anyone else's idealism. That matters too. 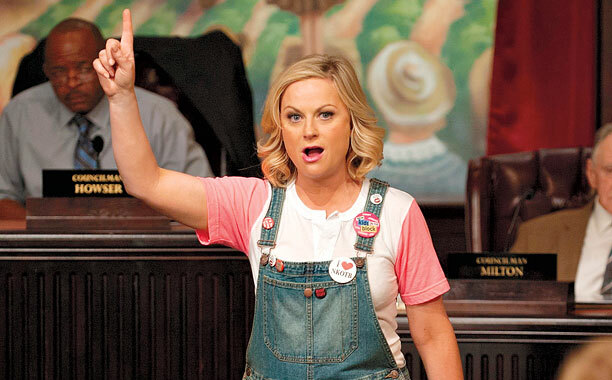 Leslie Knope. Jane Villanueva. Every single character on The West Wing. The musical Hamilton. Kamala Khan. There are so many different ways to be patriotic, to love your country, and it just really bothers me that we only seem to acknowledge the outer trappings of that love. I don't wear flag pins. When I was in school I was the kid who steadfastly refused to say that pledge of allegiance and skipped pep rallies. But that doesn't mean I don't love my country. I do. I really do. I just also admit that it has a lot of problems. So here's the thing. Part of the reason why I adore Captain America so much, and those other characters and stories above, is because he gets at the heart of what it means to love your country. It's not a flag pin and saying the pledge of allegiance. It's believing that your country can and should be better than it is, and then choosing to work to make it so. I don't believe in a love that just accepts the status quo. That's probably why I'm single. ** I believe that love immediately appreciates you for who you are, but also sees who you can be and loves you for that too. Love doesn't accept indifference or apathy, it demands passion and effort. I don't like my country most of the time, but damn do I love it. There's no larger point today, honestly. 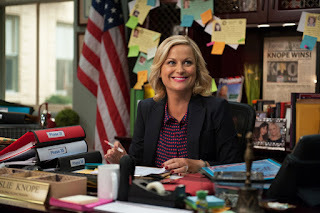 I mean, I do think that Captain America and Hamilton and The West Wing and Parks and Recreation and Jane the Virgin and Ms. Marvel are all fantastic works of art and if you feel strongly about appreciating America as it is and also demanding that it be better, you should check them out, but mostly I'm just thinking aloud. I'm not in the habit of thinking of myself as a patriot. I'm still trying to unlearn the belief that patriotism is something reserved for people who like country music and live on farms. But it matters that I do figure this out because now is not a time to be complacent. I love my country, so I should do something about that. I love my country, so that makes me a patriot. And no one can take that away. I don't know. I don't know what to do with all of this. But I hope it helps. *If you're keeping score at home, yes, Captain America is basically my example for everything because I love Captain America because, as it turns out, I am patriotic as hell. **I'm kidding, that's not probably why I'm single. That's actually literally and exactly why I'm single. One of my exes cited this as a reason why I am a terrible girlfriend. Can I punch your ex? Like seriously? >_> That is not why you are single. You are single because you are a strong, indepentent, confident, and intelligent woman and a real man hasn't met you yet. But YES TO ALL OF THIS. Thank you. I too was thinking I was unpatriotic for all those reasons.This helps. Aww, thank you! I didn't mean to sound maudlin about that, by the way. I do not regret the ending of that relationship at all. (But yes, you are more than free to send some punches his way.) And it's comforting to know that someone else has been thinking about this. Erskine asks Steve why he wants to fight and he says, "Because I hate bullies." The fighting isn't the important bit; what matters is why you fight. Cf his instinctive empathy for the Maximoff twins. Steve's no bully - and when he leads a team of Avengers into Sarkovia to attack HYDRA installations, he's fighting for Sarkovia as much as he is for America - but he doesn't put it on either the twins or the rest of the populace to find that immediately obvious. He took one of the most intense positions in the US military, and it's one that is about helping people. And kept doing that once he was out. Looking after veterans who were hurt, often in invisible ways. One of my exes cited this as a reason why I am a terrible girlfriend. The words "well," "rid," and "of" are drifting through my mind. Yes! I love how he totally gets where the Maximoffs are coming from even when everyone else is ready to condemn them. He doesn't feel entitled to their respect, and I think it's no coincidence that he's the one they decide to follow when they join the team - he's the one who gets them to switch sides because he never talks down to them. I love Sam Wilson. I love him so much. Yeah, I don't regret that breakup at all. I just saw Woman in Gold again, and there was a line I'd forgotten, Daniel Bruhl's character calling his motive for helping Maria and Randy a very specific form of patriotism. Which is a very intense example of what you talk about in this article: the need to make his country into one that acknowledges and fights, rather than denies and abets, the continuation of past crimes. Oh my gosh yes. Yesssss.